Complete details about the Afghanistan Premier League 2018 Schedule, Teams, Squads, Tickets, Venue, Live Streaming and Timing. Afghanistan Premier League 2018: Schedule, Teams, Squads, Venue and Live Streaming. Afghanistan Premier League 2018 (APL) is all set to kick off today on 5th October is United Arab Emirates. Afghanistan Cricket Board has started this APL 2018 tournament in order to start the cricket revolution in the country and it’s the first edition of the tournament which will be played in the United Arab Emirates. The main aim behind this tournament is to become the top domestic T20 cricket league competition for Afghanistan. The tournament will features 23 matches in total and these matches will be played among the renowned five cricket teams across the world. Afghanistan Premier League 2018 is the first edition by the Afghanistan Cricket Board and will be played from 5 to 21 October 2018 in UAE. 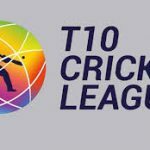 The new five-teams will be the part of this Twenty20 tournament featuring star names Shahid Afridi, Chris Gayle, Brendon McCullum Ryan ten Doeschate, Thisara Perera, Andre Russell and Rashid Khan. Here is the complete details of the Afghanistan Premier League 2018 including schedule, teams, squad, venue, time, tickets and live streaming. Total 5 teams would be the part of the Twenty20 tournament including Pakistani Team, Kabul Team, Balkh Team, Nangarhar Team and Kandahar Team. The APL 2018 Twenty20 tournament would be played at Sharjah Cricket Stadium in Sharjah, UAE. Shahid Afridi, Thisara Perera, Mohammad Shahzad, Cameron Delport, Samiullah Shenwari, Chris Jordan, Faheem Ashraf, Luke Wright, Azmatullah Omarzai, Rahmanullah Gurbaz, Zia ur Rahman, Calum MacLeod, Tahir Adil, Fazal Zazai and Zia ur Rahman Morkel. Rashid Khan, Luke Ronchi, Hazrat Zazai, Colin Ingram, Farid Malik, Javed Ahmadi, Sohail Tanveer, Laurie Evans, Wayne Parnell, Shahidullah Kamal, Muslim Musa, Afsar Zazai, Mohammad Asghar Hotak, Zahir Shirzad and Shawkat Zaman. 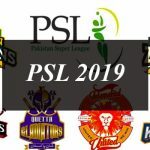 Chris Gayle, Colin Munro, Mohammad Nabi, Ravi Bopara, Aftab Alam, Gulbadin Naib, Mohammad Irfan, Ben Laughlin, Kamran Akmal, Qais Ahmad, Usman Ghani, Ikram Ali Khil, Ryan ten Doeschate, Tariq Stanikzai Fitratullah Khawry, Samiullah Salarzai and Farhan Zakhil. 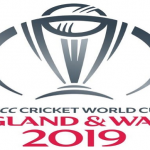 Andre Russel, Tamim Iqbal, Mujeeb ur Rahman, Ben Cutting, Shafiqullah Shafaq, Najib Tarakai, Mitchell McClenaghan, Mushfiqur Rahim, Mohammad Hafeez, Rahmat Shah, Naveen ul Haq, Zahir Khan, Sandeep Lamichhane, Fazal Haq, Nasrat Qureshi and Khaybar Omar. Brendon McCullum, Wahab Riaz, Asghar Stanikzai, Paul Sterling, Kevin O’Brien, Najibullah Zadran, Sharafuddin Ashraf, Karim Janat, Tymal Mills, Sam Billings, Iftikhar Ahmad, Hamza Hotak, Karim Sadiq, Sayed Shirzad, Mohammad Naveed, Waqar Salamkhel, Abdul Baqi and Waqarullah Ishaq. Where to Buy APL 2018 Tickets? Cricket lovers can buy the APL 2018 Tickets online at https://www.q-tickets.com/apl/eventlist and at the box office at the stadium. Complete details about the Afghanistan Premier League 2018 Schedule, Teams, Squads, Tickets, Venue, Live Streaming and Timing. Afghanistan Premier League 2018: Schedule, Teams, Squads, Venue and Live Streaming.